Staff file photo by Erin O. Smith / Wichman Monuments sits along Brainerd Road. Trent Daniel Wichman, who headed Wichman Monuments, has been indicted on theft of property charges. Former Wichman Monuments chief Trent Daniel Wichman had his theft case delayed three weeks on Tuesday, even as the list of hundreds of unresolved claims has been narrowed to 10. Wichman attorney Ben McGowan said in Hamilton County Criminal Court that the legal process of discovery was still ongoing and sought the delay in the case. Judge Barry Steelman set Wichman's next court date for Nov. 21 on the seven counts of theft of property. In July, the charges were filed against Wichman after the 72-year-old business suddenly closed earlier in the year and left about 260 claims by people who said they hadn't received their orders. Wichman, who was managing the 5225 Brainerd Road company started by his grandfather Fred Wichman, was present Tuesday in the courtroom. Wichman, who is free on bond, did not address the court. His attorney has entered a plea of not guilty on behalf of his client. Meanwhile, another Chattanooga lawyer who is handling the settlement of the claims against the business said that only 10 don't have a resolution. Letters have been sent to the parties, but he hasn't been able to close the books on those yet, said Terrance L. Jones of the Presley Law Firm. Jones said another 15 claimants are waiting to have their monuments made by another company. Also, three or four others have changed their minds and are awaiting a refund, he said. "We have made some progress," Jones said. He declined to say how much money has been shelled out to settle the claims so far. In March, A&R Holdings Inc., which Jones is representing, agreed to accept responsibility for the claims after buying the Wichman Monuments property on Brainerd Road for $400,000. He said the principal behind A&R Holdings has asked to remain anonymous, but wants to resolve the claims so it can sell or redevelop the property. Many of the scores of monuments which had sat in front of the business for display purposes have been sold to another manufacturer with whom Jones is working to complete orders. None of the monuments which had a name could be reused, he said. "The only value would be as display pieces for the monument company," Jones said. The indictment said there were five instances in which Wichman, between Jan. 1, 2017, and March 1, 2018, unlawfully and knowingly obtained or exercised control of property valued at $2,500 or more, but less than $10,000. In two other counts, Wichman allegedly took the same action involving more than $1,000 but less than $2,500, according to the indictment. 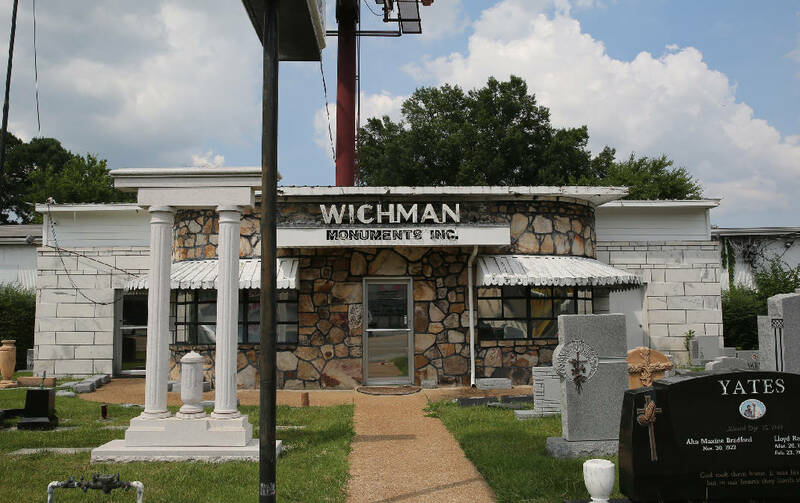 In February, the Better Business Bureau of Southeast Tennessee and Northwest Georgia began to receive complaints about Wichman Monuments. In March, the Chattanooga Police Department said it had opened a fraud investigation after receiving complaints. Also that month, Wichman said the business had shut down permanently. A statement said the closure was precipitated by rising costs and the loss of some key employees to illness.